Our cheery, sunshine yellow roses delivered to the door are a guaranteed mood lifter. 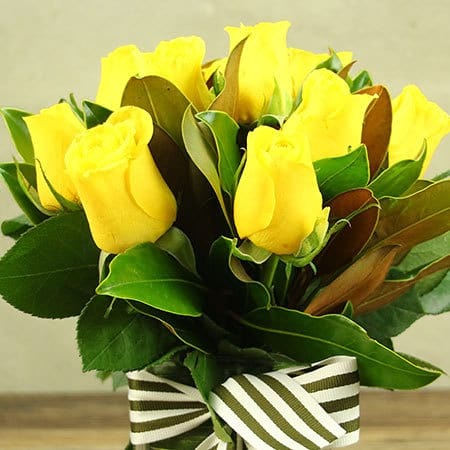 Yellow roses represent joy, optimisim, friendship and warmth - and we can`t think of a better vibe to send someone! 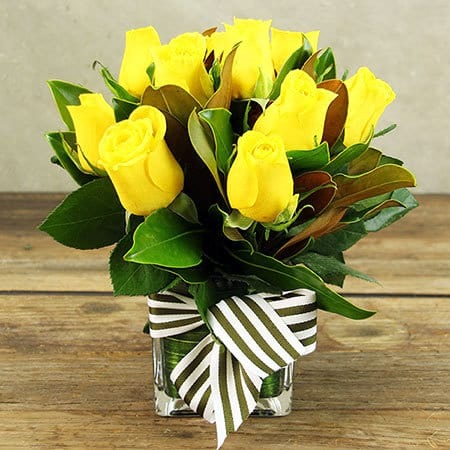 These fresh yellow roses and seasonal greenery are arranged in a cube glass vase ready to beautify a home, office or hospital bedside. Add a bottle of bubbles or a fragrant ECOYA hand cream or candle and you have a truly gorgeous gift! Order your yellow rose delivery online or give us a call on 1800 66 66 46.